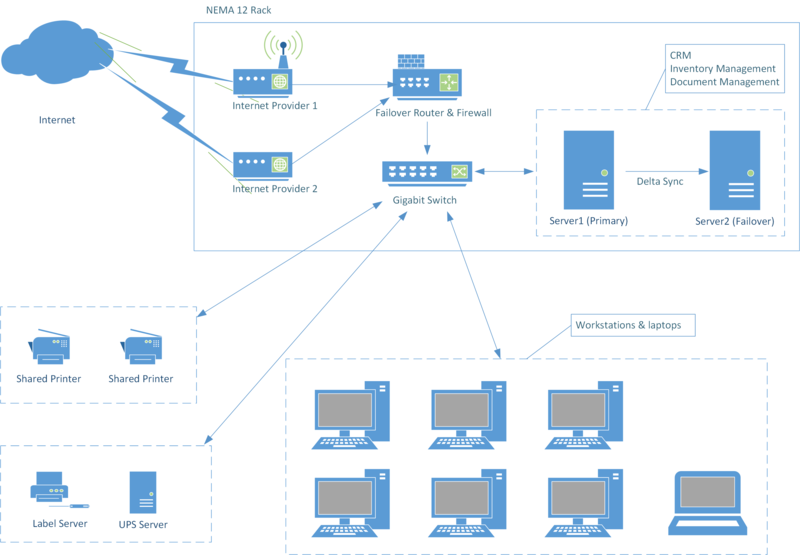 Here are a few examples of network designs we have built and continue to maintain. Take a look at these samples of our work to see how we could help you. Due to the nature of this manufacturing environment, special considerations were required to protect the primary networking equipment. A NEMA 12 enclosure was installed to protect this equipment from dust and dirt, and included a cooling system and a battery backup system. In addition to the NEMA 12 enclosure, other measures were taken to minimize downtime, including: a failover router for Internet access, a server failover system with 15-minute syncronization cycles, and RAID drives on primary and failover servers. All desktops were upgraded to SSDs for performance and reliability, as well as the maximum memory each supported. This network is used for software development, quality assurance, and training on technologies such as: Microsoft Office, security best practices, and online services. 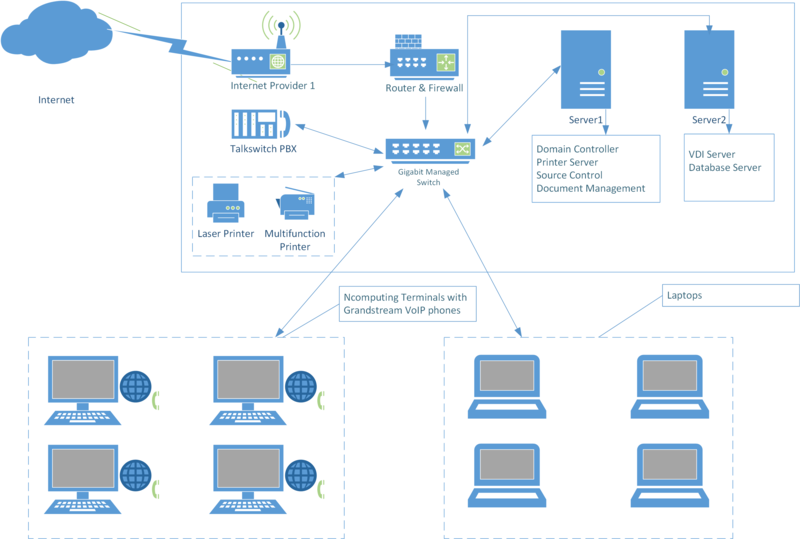 Servers were custom-built, and a TalkSwitch VoIP system was integrated into the network.